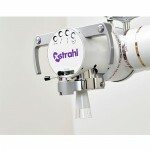 Xstrahl 200 enables both superficial and orthovoltage treatment techniques in one system. The Xstrahl 200’s energy range makes it a valuable addition to any radiotherapy department. Ideal for treating many superficial skin cancers, it can also be used to treat dermatological conditions such as psoriasis, and a range of other benign conditions such as Dupuytren’s Contracture, Peyronie’s Disease and Gynecomastia. 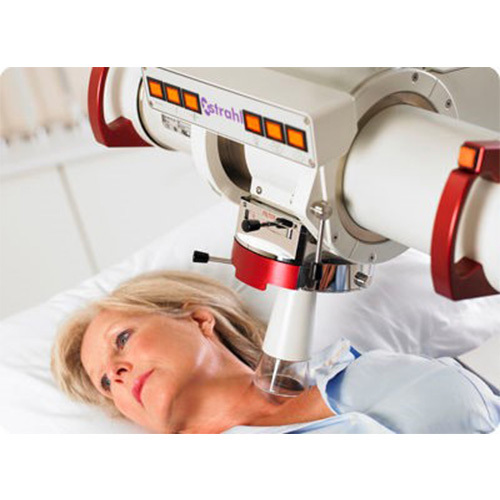 In addition, the Xstrahl 200 enables orthovoltage therapy for palliative care, including the treatment of skin and soft tissue metastases . 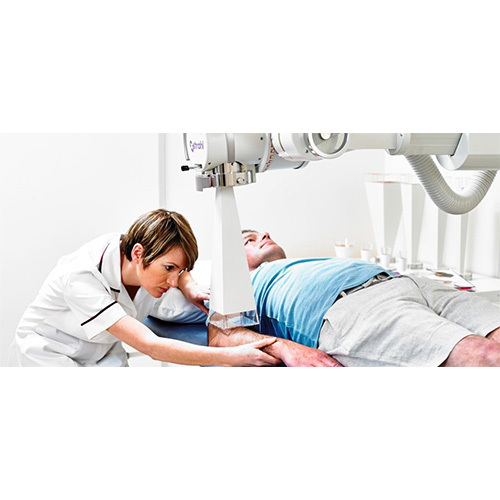 • The range and flexibility of movement in the treatment arm enables smooth adjustment and easy set up for each treatment field, whilst also ensuring that patient comfort is never compromised. 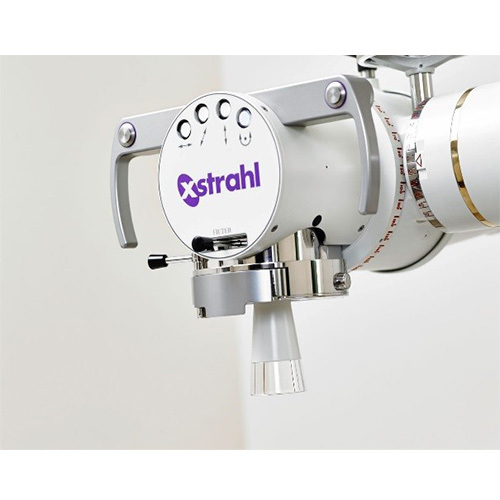 • The Xstrahl 200 can be floor or ceiling mounted, making it easy to install alongside other equipment and adaptable where space is restricted. • Includes dosimetry control and encoded filters, a record and verify system and applicator coding.